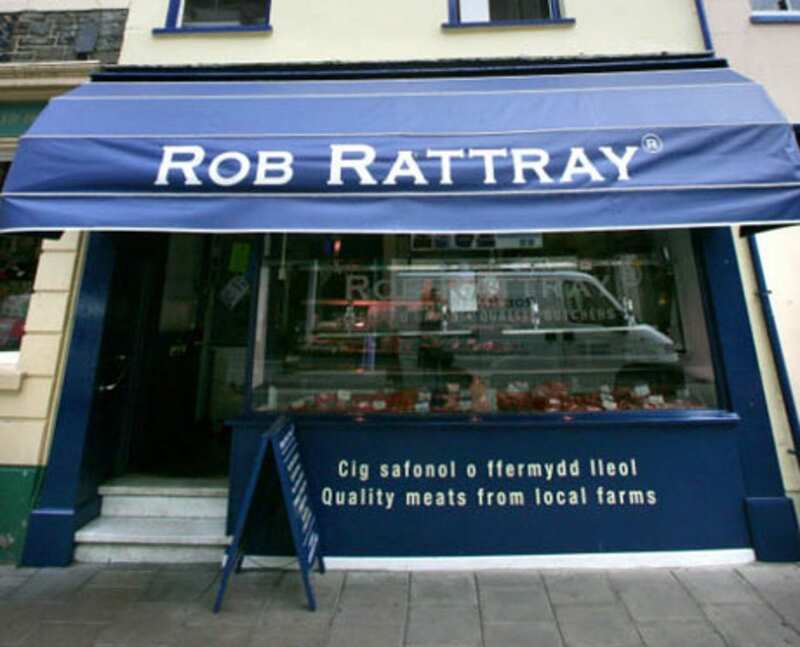 A long-established and well-renowned retail butchers located in Aberystwyth town centre, Rob Rattray has been delivering a quality butchery service for over 20 years. Run by a small team of highly skilled experts, and fronted by Rob himself, we pride ourselves in serving only the finest quality, local meat from the lush and fertile pastures of West Wales. Our pork is primarily produced from the pure Welsh pigs at Penlan Farm, where the farmer has a lifetime’s wealth of knowledge and expertise in pig farming. They are bred especially to meet our specification, to a size and type that suits our customers. Our pigs produce a well marbled meat, giving excellent flavour and succulence and will have a light covering of fat to ensure that the flavour and moisture is retained during cooking to give a succulent and tasty joint. Our Home-Cured Gammon and Bacon is prepared and cured at our own Meat Unit. We produce a range of unique speciality pork products, such as our award-winning Treacle Cured Bacon and Sweet Cured Bacon. 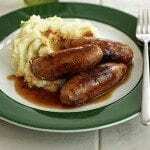 We also have an extensive range of award-winning homemade sausages. Our own cured ham is prepared in-house and cooked on site to produce our True Taste Gold Award Home Boiled Ham. Our own Sweet Cured Bacon and Treacle Cured Bacon is our speciality. Our own Home Cured Bacon and Gammon is prepared and cured on site along with a full range of freshly prepared sausages.